Established in the later 12th century as a small fishing village on the banks of the Amstel River, Amsterdam has one of the largest historic city centers in Europe. One of the focal point of interest in this city is the Golden Age of Netherlands that dates largely from the 17th century. It was noted that at this time, a row of concentric, semi-circular canals were built around the older city center, but this establishment still defines the city’s layout and appearance today. Amsterdam now has fine houses and mansions that are situated along the canals. Most of these houses and mansions are lived in, while others are now offices and public buildings. 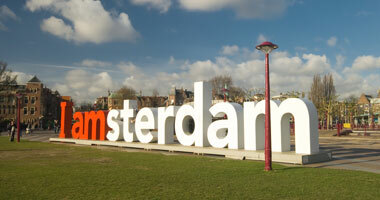 Amsterdam, as all Dutch municipalities, is governed by a mayor, his wethouders (aldermen), and the municipal council. Nevertheless, the city is subdivided into fifteen stadsdelen (boroughs), which is a system implemented in the 1980s to improve local governance. The establishment of this system is what sets Amsterdam unique from other Dutch municipalities. The stadsdelen are said to be responsible for a number of activities that previously had been governed and managed by the central city. Fourteen of these have their respective council, which is chosen by a popular election. Westerpoort, the fifteenth, covers the harbour of the city and has very few inhabitants. It is also governed by the central municipal council. Amsterdam is a safe city, thus there is nothing really to fear from walking in any part of the city. It has been noted that even in the red-light district around the Oude Kerk, tourists are always spotted wandering around. However, as in any large cities in other parts of the world, you should beware of pick pockets. And, don’t try to photograph the women in the red-light district for that would be risky. In terms of water, the water from taps is perfectly drinkable.